If you have any questions about the Dubois 380 information page below please contact us. With launch in 2015, Dubois 380 superyacht is a breathtaking 101-metre sloop, designed by the prestigious UK design studio, Dubois Naval Architects. 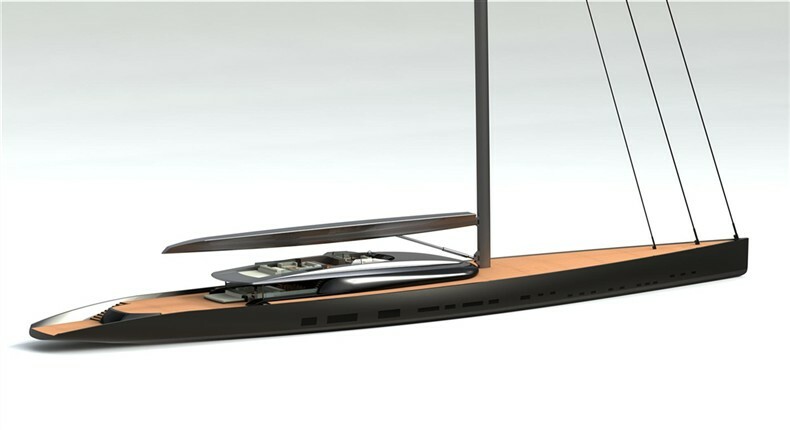 Sailing yacht Dubois 380 features interior design by Josep Juanpere Miret of GCA Arquitectes Associats. Accommodation aboard Dubois 380 superyacht is provided in 5 magnificent suites. There is a full-beam owner's stateroom with separate his-and-hers bathrooms and dressing rooms, as well as a large, shared shower compartment. Guests can enjoy four lovely guest suites, each with a floor area of 36 square metres, two of them with double beds and two with convertible twin-berth arrangements. There is also space for 22 professional crew in 18 en-suite cabins in the bow of the vessel. 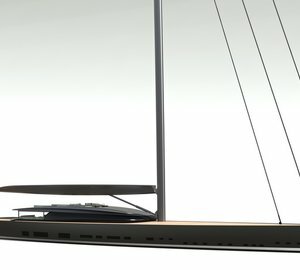 All-aluminium luxury yacht Dubois 380 features a maximum draft of 12,8m and her single, carbon fibre mast towers 125 metres above the waterline. Luxury yacht Dubois 380 offers beautiful accommodation in a full-beam owner's suite, as well as four splendid guest suites. There is also accommodation for her 22 highly trained crew in 18 en-suite cabins. We do have available further amenity, owner and price information for the 101m (328') yacht Dubois 380, so please enquire for more information. The luxury yacht Dubois 380 displayed on this page is merely informational and she is not necessarily available for yacht charter or for sale, nor is she represented or marketed in anyway by CharterWorld. This web page and the superyacht information contained herein is not contractual. All yacht specifications and informations are displayed in good faith but CharterWorld does not warrant or assume any legal liability or responsibility for the current accuracy, completeness, validity, or usefulness of any superyacht information and/or images displayed. All boat information is subject to change without prior notice and may not be current.